Microorganisms in the worm bin break down the decomposing food waste and also become worm food. These microbes feed on decaying organic matter and each other, forming a complex, microscopic ecosystem called the soil food-web. This system occurs in the worm bin as well as in the soil itself. Without the creation of these organisms, the world would soon be buried in litter; nothing (apple cores, leaves, manures, dead trees, etc.) would decompose. Bacteria are the most numerous microbes in a worm bin and the primary decomposers of organic matter on earth. They promote the detoxification of soil contaminants,the production of plant growth promoters and organic chelating agents. Most are decomposers that consume simple carbon compounds from fresh plant litter. 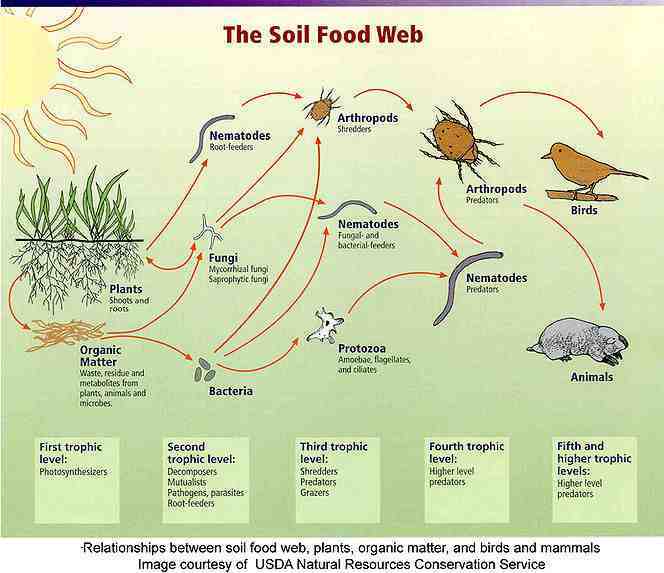 As bacteria simplify the organic matter they make it available to earthworms and other organisms in the system. 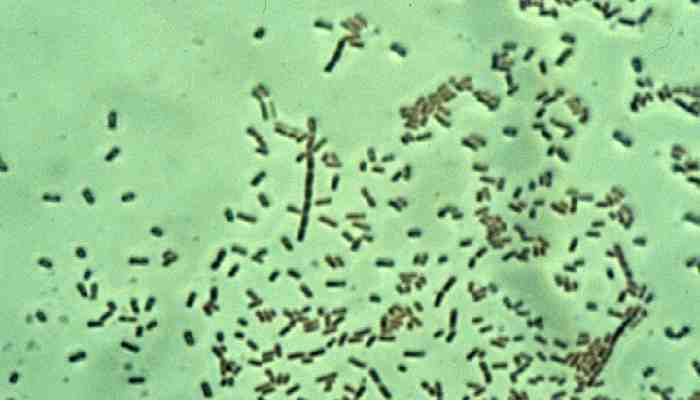 Some microbes, especially bacteria, produce antibiotics which cover the surface of the crop and thus prevent infection by pathogens. 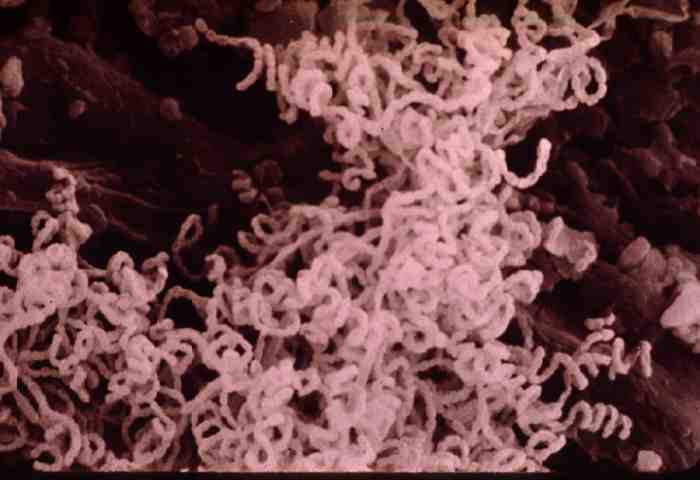 Actinomycetes are a large group of bacteria responsible for the “earthy” smell of healthy soil. They decompose a wide range of material, but are most important in degrading hard-to-decompose compounds, such as chitin and cellulose (found in wood and paper products). Credit: No. 14 from Soil Microbiology and Biochemistry Slide Set. 1976. Fungus beginning to decompose leaf veins in grass clippings. 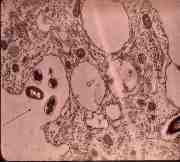 Fungi are microscopic cells that usually grow as long threads or strands called hyphae. 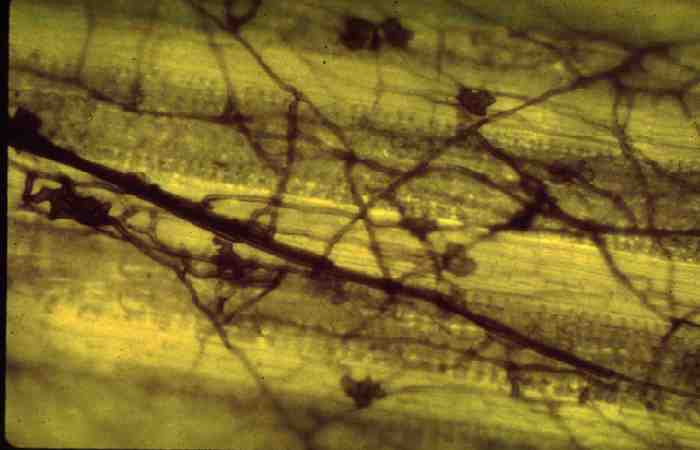 The hyphae insert directly into the plant roots, greatly extending the plant's ability for nutrient uptake, respiration, tolerance to weather extremes and conferring some disease resistance. Along with bacteria, fungi are important as decomposers. They convert hard-to-digest organic material into forms that other organisms can use and usable worm food for the Red Wigglers. Credit: No. 48 from Soil Microbiology and Biochemistry Slide Set. 1976. J.P. Martin, et al., eds. 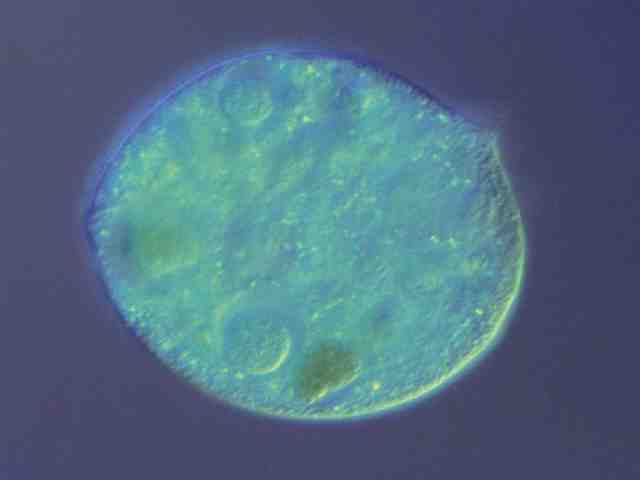 Protozoa are single-celled animals that feed primarily on bacteria, but also eat other protozoa, soluble organic matter, and sometimes fungi. Of all the bin microbes, protozoa are the favorite worm food. They are also responsible for immobilizing and releasing of nitrogen, phosphorus, sulfur, and other nutrients, creating a kind of slow release system which prevents nutrients from leaching and preserves them for plant use. 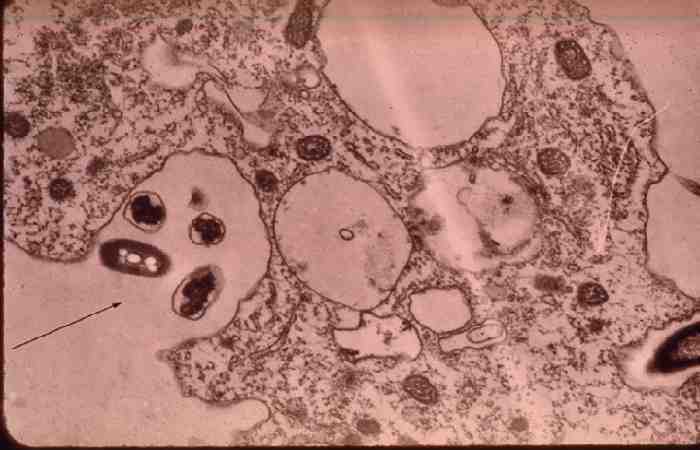 Bacteria (dark areas) ingested by an amoeba. Credit: No. 35 from Soil Microbiology and Biochemistry Slide Set. 1976. 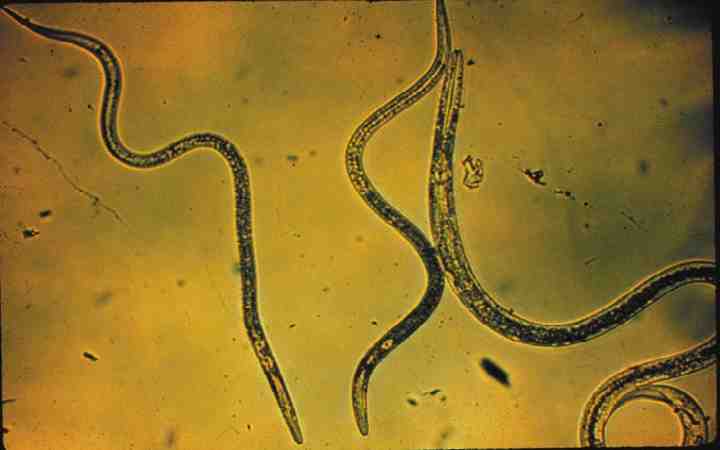 Beneficial nematodes help control disease and also contribute to the cycling of nutrients. They aid in distributing bacteria and fungi through the compost by carrying them "piggyback".